The Finance Latvia Association continues its development strategy aimed at becoming a platform for cooperation amongst finance, technology and related industries to represent broad interests in Latvia, the Baltics and Europe. The Association has already proven its ability to facilitate high-level discussions — for instance, in 2017 it ensured a united position among market participants on the future of the European Union financial market and the development of financial technologies. The Finance Latvia Association invites technology companies, fintech start-ups, experienced finance companies and businesses in related industries to join the organization by becoming associate members or members. Every associate member or member must prove their readiness to adhere to the Social Charter and Anti-Money Laundering/Combating the Financing of Terrorism (AML/CFT) initiatives. It is essential that the goals, interests and values of associate members or members coincide with the basic aims and principles of the Finance Latvia Association. Benefits of associate member or member can be found at the home page. The Finance Latvia Association is an open minded non-profit organization for broad and joined-up representation of finance, technology and related industries in Latvia. 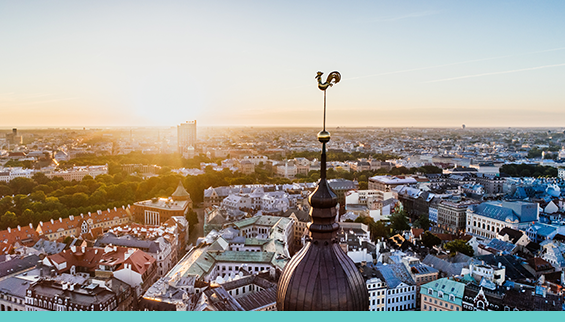 Our vision – the Latvian financial industry pursues broad partnerships and leads in innovation in Europe. The basic principles and values of the organisation in creating a unified platform and maintaining high-quality discussions on topical issues are openness, responsibility and cooperation. July 12, 2018 – the annual general meeting endorsed change of name from the Association of Latvian Commercial Banks to the Finance Latvia Association. Compliance – achieving the highest “anti-money laundering and combating the financing of terrorism” (AML/CFT) compliance standards among member banks within the next 2 to 3 years.